From June to August, the sunny island of Barbados hosts the lively Crop Over Festival, celebrating a 200 year-old tradition that honours the end of the sugar cane season. The six-week festival celebrates all that is Bajan with dusk till dawn parties, arts and crafts markets and a culinary-driven street fares. 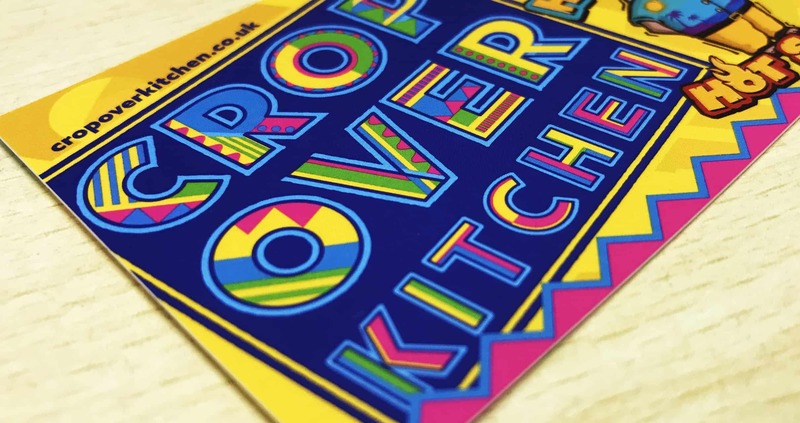 This, is the inspiration behind one of our more recent branding projects for a new start up street food company, Crop Over Kitchen. Director Melanie Sutton and her team approached us with an exciting brief which included colourful logo design, illustrative packaging concepts, vehicle graphics, large format graphics and business stationary. Naturally, we were buzzing to get started and the design team were like kids in a sweet shop as they were set loose with a multi-colour brief! The brief was simple, fun, friendly and COLOURFUL. 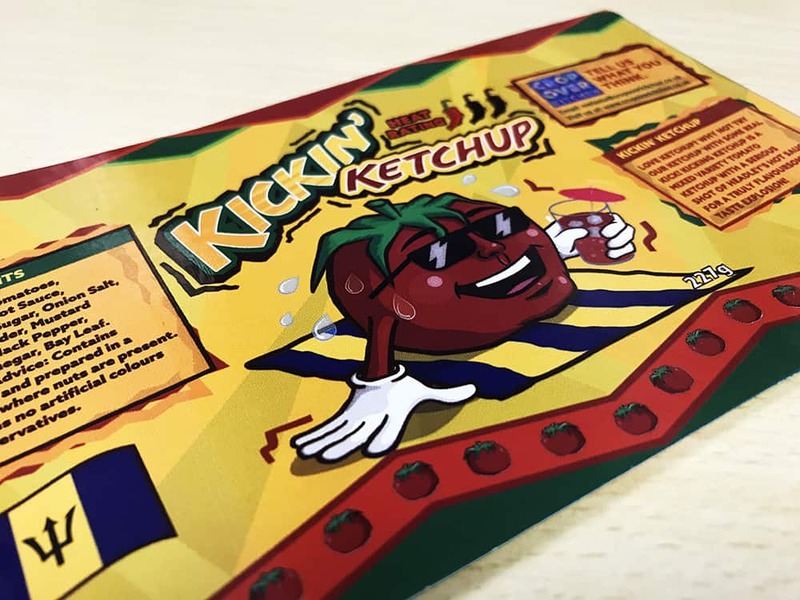 The next stage was a second sauce product named Kickin’ Ketchup, and new labelling was required for that along with print production of both label designs. 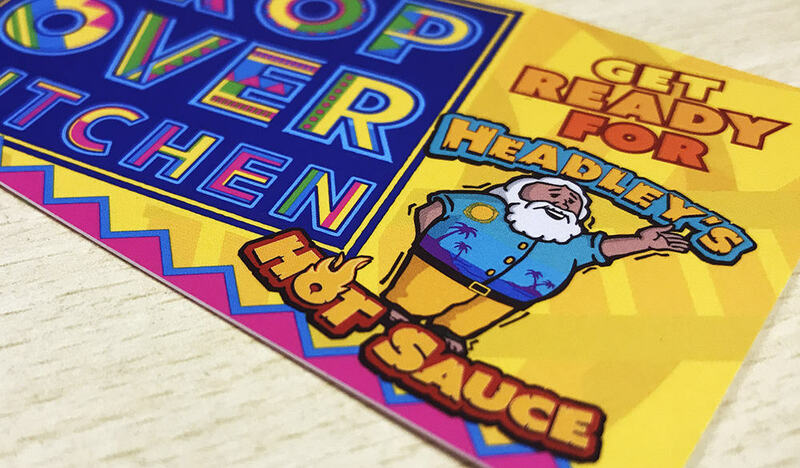 We’ve also produced business cards, we’re working on outdoor flag graphics for Crop Over and we’ve started work on a second street food concept, or should we say street booze… Ricky’s Rum Shack. Watch this space!